To explain how I approach the discussed subject, we’ll start at the audio source, the drum set. Traditional drum microphones have a certain amount of leakage from their surroundings, for example a mic placed to record the snare would also record quite an amount of hi-hat. I want to be able to gain my mic’s quite high, so that the mix between the processed sound and the acoustic sound can be controlled to a higher level, then the option of traditional drum mic’s is not optimal. The presence of leakage would, in addition to not separating the sound sources fully, also present a challenge regarding feedback. 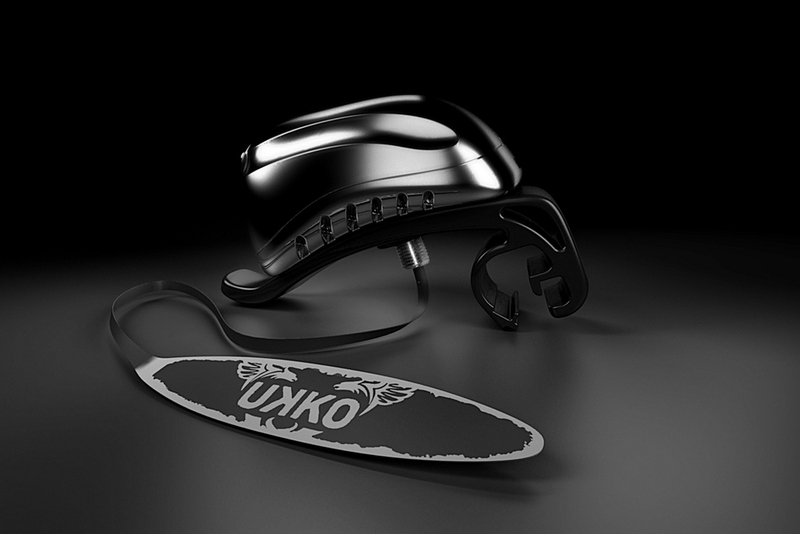 I then suddenly stumbled upon the “UKKO”-series from “B-Band”. They’re EMFit based contact microphones which you place on the shell inside the drum, right beneath the drum head. They sound a bit different from traditional microphones, but all the frequencies you want for a traditional sound are there, so it’s basically just a matter of tweaking. Since they are placed inside the drums they offer exceptional isolation from the surroundings, and they can be gained quite high before there’s any feedback. I got a five-peace set (they come with different preamps for the toms, snare and kick) for around 4-500 USD on ebay.